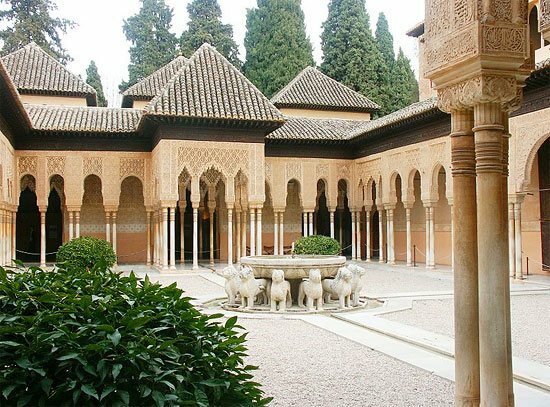 Disfrute de una visita completa a Granada y la Alhambra, incluyendo las entradas para Los Palacios Nazaríes! "Well organized trip from beginning to end. Part of the tour as described did not happen, as follows: "You will experience a sightseeing tour in Granada by bus..."
Cuándo: Martes*, Miercoles*, Jueves* & Viernes (*Marzo a Octubre). Lugar de Encuentro: Recogida desde Malaga, Torremolinos, Fuengirola, Marbella, Nerja y otros. 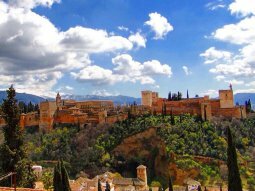 ¿Listo para experimentar la impresionante Alhambra y ciudad de Granada? Una vez en Granada tendrá 5 horas en la ciudad. Primero se realizará recorrido panorámico en autobús en Granada para ver los lugares más interesantes, incluida una parada en el mirador de San Cristóbal en el famoso Barrio de Albayzin. Desde este punto, admirará las mejores vistas de la ciudad y de la Alhambra con Sierra Nevada al fondo. El guía le llevará al centro de la ciudad, cerca de donde está ubicada la Catedral y la Capilla Real, donde tendrá al menos 2 horas y 30 minutos de tiempo libre en el centro (tiempo de almuerzo incluido) para disfrutar por su cuenta, hacer sus compras y hablar con los lugareños. El guía le indicará la hora y lugar para la reunión de aquellos que han comprado la opción con almuerzo incluido, el resto lo hará por su cuenta. A la hora y lugar fijados por nuestro guía llegarás con transporte incluido al Complejo Monumental de la Alhambra, declarado Patrimonio de la Humanidad por la UNESCO, donde un guía local te estará esperando y te ayudará a descubrir este monumento de renombre universal. El tour guiado por los palacios y jardines dura 2 horas y 30 minutos, el cual le hará retroceder en el tiempo y experimentar el ambiente único que inspiró al escritor estadounidense Washington Irwing para escribir Los Cuentos de la Alhambra. Los Palacions Nazaries, inclusive el Patio de los Leones. Viaje en autocar acompañados de un guía multilingüe. Tour miltiligüe quiere decir que el guía siempre hablará varios idiomas: inglés, español, alemán, francés e italiano si es necesario. Este tour tiene varias paradas de recogida. El autobus empieza recogiendo pasajeros en Estepona y termina su ruta de recogida en Malaga ciudad. El itinerario es estimado. El orden de las actividades podria cambiar, ya que el itinerario está sujeto a la hora de entrada de los tickets de la Alhambra. Devolucion total si la excursion es cancelada hasta una semana antes. Si cancelas durante la ultima semana, hasta 48 horas antes del inicio del tour, hay un coste de 20 euros por persona. Si cancelas durante las ultimas 48 horas previas al inicio del tour, no hay devolucion. "Well organized trip from beginning to end. Part of the tour as described did not happen, as follows: "You will experience a sightseeing tour in Granada by bus in order to see the most interesting sites, including a stop at San Cristobal Viewpoint in the famous Quarter of Albayzin. From this point you will admire the best views of the city and of the Alhambra with Sierra Nevada in the background." We simply went to Granada and the guide walked us up a road into the old part of Granada where we had about 3 hours to wander around and eat lunch. Otherwise the Alhambra portion was great, our guide there was very knowledgeable." Answer from Malaga Trips: "Due to the International Women's Day celebrated on March 8, there was a women strike on the streets of Granada which didn't allow to the bus to circulate to the San Cristobal Viewpoint as usually. This was explained by the tour guide to all travellers during the tour." "Pasamos un buen día en Granada. Durante el tiempo libre en la ciudad nos dió tiempo a visitar por nuestra cuenta el Parque de las Ciencias. La guía en Alhambra era muy agradable y muy profesional. Excursión muy recomendable!! " "I can recommand this company, trips are very well organised"
"The Malaga Trip too Granada (10/09/18) was nice and perfect.We really enjoyed that day from all the best of Granada. " "Very good guide and driver! " "Thanks for a very well organized trip. Rosio helped us made an extra effort organize a separate pickup for our group. Recommend Malaga Trips!" "Ottima escursione, vale tutti i soldi spesi. La guida nell'alhambra parlava un ottimo italiano. Purtroppo però la guida sul bus parlava 4 lingue tra le quali non c'era l'italiano e dato l'accento faticavo a capirla... "
"All the trip was very well organised and both the guides were amazing. Especially Josie, who entertained us all the way. Many thanks and I recommend to book trips anytime on this site." "Trip was enjoyable and worthwhile. Would be improved if other members of the tour were asked not to attempt to have a double seat to themselves and to sit beside their family or friends, especially if the bus is full. Realise this is not the tour providers fault but did detract from our enjoyment." 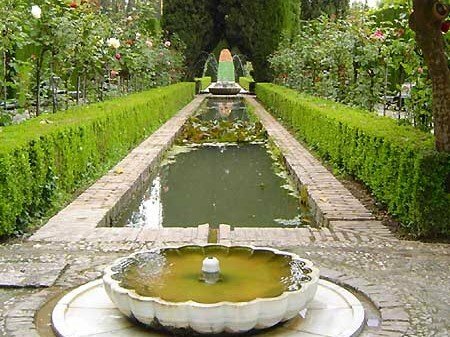 "A very interesting tour, specially Alhambra with it's history and beautiful garden. I recommend this trip. Maybe it should be a guided tour in Granada as well." "the tour itself was very good along with the guide. The included lunch was very bad, I would not pay a Euro for it. Also I needed to contact trip.organizer during trip but the phone number on the confirmation letter was not from the organizer,.they were not able to help me and told me to contact my organizer. i think this is not ok."
Answer from Malaga Trips: "We will communicate your disappointment about this lunch. The phone number provided is, indeed, of the company of the service booked. Unfortunately, we did not receive any communication from you, even after we spoke by phone 3 days before your tour." "Good trip organisation, on time, very kind Elizabeth fluent in 4 languages guiding us throughout the day. Long drive from Málaga to Grenada 2:30hrs, useless stop to a view point of the Alhambra from the arabic district (too long of a ride in the busy streets for a quick photo). I would have prefered more time to roam around inside the fortress since the two and a half guided tour leaves no freetime inside the Alhambra, which is sad..."
"C'était magnifique. Nous avons beaucoup apprécié notre excursion. La guide Michelle était excellente. La meilleure que nous ayons eue. Merci! " "Very well organized smooth running operation with professional and punctual guides and drivers. All positive!" "This was amazing! Well organised and efficient, lovely guide, we felt well taken care off and so impressed with the meal organised - half bottle wine each, three courses- 18 Euro each- high quality "
"We enjoyed very much our Trip but we dont expected to Drive too Long. The Guide is very Professional and Passion enough with our questions. " "Granada is marvellous. Alhambra as well as the old city centre. The trip was well organized. The staff very competent. All went smoothly and also the meal was good." "The coach was on time and the guide excellent.Although we were notified the evening before that we would not be able to visit The Nasrid Palaces as part of the Alhambra visit we were very disappointed. We were reimbursed a little for that. The generalife gardens at the Alhambra were still beautiful. The guide there was also excellent. A Well organised day and I would recommend them! " "It was very good, informative, lots of walking, we enjoyed it." "Well organised and great reps."
"I'm very disappointed and I feel cheated! 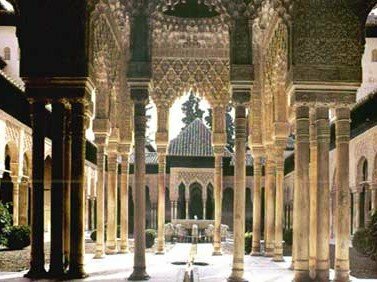 I reserved a trip to me and my wife to see Alhambra. This famous Arabic castle and what did we get! One and a half an hour's walk in some garden! We didn't see even a glimpse of this main attraction! But we paid for this "Alhambra tour" 150 euros. The guides also gave misleading ideas to the passengers by speaking all the time about "visiting Alhambra" but we didn't see one brick of it. I demand to have 2/3of our money back and I assure you that we won't need Malaga Trips services ever again. Comments from Malaga Trips: On this day, an unexpected inconvenience with Alahmbra tickets forced to switched Nasrid Palace for Royal Chapel at city center. " "very well organized trip, good guides, enjoyed the whole trip." "It was on time and interesting "
"We had a fantastic day to Granada and the Alhambra would 100% recommend! The tour guide on the bus was fantastic and very accommodating. The tour guide at the palace and Alhambra was very enthusiastic however one suggestion for improvement felt English was an after thought. Granted there were 40-50 Germans and 2 English speaking people on the tour but it always felt like a rush. This is only a small comment as we had a great day. Wish we had longer to expore the tapas in Granada will be back :-) "
"Should utilize commentary system much like the "hop on, hop off" city tour bus. Technology translates, no need to repeat in 2 or 3 languages same info.... Microphone / earpiece system scratchy at best.... Sights were amazing, website & purchase & reminder follow up - EXCELLENT"
"Amazing trip with excellent guide! We in love with Granada , so much to see"
"The coach was very comfortable and the guide Michelle was great. 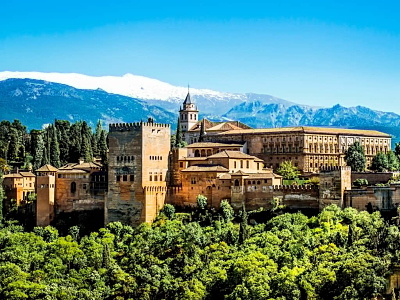 However the AlHambra guide was poor and the journey around the palace was rushed." "To me unknown but perfectly reliable"
"Its not fair in using languages equally.I quit using earphones as I fed up hearing german,french,spanish so on." "Great service from Malaga Trips. All travel arrangements were perfect and we had an excellent guide. " "Guide in Alhambra very disappointing. She was permanently looking on her private phone, did not make any contact with visitors. " "Well organized trip. The Alhambra tour was excellent." "Gréât organisation with a polyglotte guide"
"It was an informative trip, the guide was knowledgeable. The buses were very well organised and on time. One minor criticism would be that I, plus others on the bus would have preferred not to stop for a break on the return journey. " "very good with pickup and change, very godd guide borh in the bus and at Alhambra. The weather sucked - the rain poored down all day - but the guides did really their best." "We had an amazing time. Everything was very well organized. Our guide was great. After we visited the Alhambra we also had enough time to wander around Granada. " "Our local guide Christina at Alhambra was fantastic thank you. And Much gratitude to Malaga Trips who helped me hook up with my group in Granada after deciding to head to the city a day early." "Very well organized. Leaves also spare time to participants for own interests." "Instructions for the trip beforehand perfect, timetable of the trip perfect - guide´s English very good but routinehurried, he did want everything to go on well, which it did, still - well, he did his job - but without giving - for at least those speaking English - a real welcome to be on this trip. In and out was kind of the mode. " "A really worthwhile trip & both our guides,Michelle & Patricia did a first rate job of being both informative & interesting." "Engaged guides. Very small space for the legs in the bus." "I would appreciate it with more time at Alhambra and to stay a little longer in Granada. The start in the morning should be directly from Malaga (pick up only in Malage) so there would be more time. Thanks"
"It was a great trip and Michel, our guide, did her job very well. Unfortunately, it rained all day !! It may be a good reason to visit Alhambra once again. One critical remark: we were picked up in Malaga and after a short ride we had to wait half an hour(!) in the bus because some people had to transfer into another bus"
"excellent money worth lots of fun and knowledge good guide very help full thanks for all "
"We had a great day trip to Alhambra. Both guides Michele for bus trip with Granada excursion and Susana for Alhambra were very knowledgeable and made our trip and visit very interesting. --- P.S. On question two, do you want a grading of Malaga trips or your web site? I see the web site has responsive web design which is good, but I have not studied it enough to make a grading. So the "No, not really" tick is just to be able to send this feedback." "Pickup place was not correct on google maps After my e-mail i received a link with the correct place"
"The visit to Alhambra was Perfect ! Patrizia the guide was in top ! But the visit to Granada too short ! It Will be better to stay �? more Long Time in Granada city the Morning "
"Sorry but in must reduce 1 Star for the bus (technical desaster) and 1 star for the bad Organisation of the Tickets and groops at the entrance of alhambra that costs at least half an hour "
"Thoroughly enjoyed our day trip. Bus tour guide very helpful & knowledgable. Alhambra magnificent but not good reception at times with headsets and also some difficulty understanding guide's English! Also 2.1/2 hours on our feet with no break was exhausting in the afternoon slot as the heat was intense. All that aside we thoroughly enjoyed the trip & would recommend your company. " "Had a great day trip to Granada and the Alhambra, booked through malagatrips.com. Professional service & email communication. Awesome experience. Recommended. "